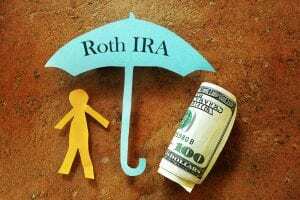 You may have heard of a Traditional IRA and know some ways that it can protect your savings from taxes, but could a Roth IRA be better for you? The answer to this question depends on what you are looking for. There are some differences you should consider. Let’s discuss how you can maximize your savings through a Roth IRA or a Traditional IRA. First, let’s begin with a Traditional IRA. When you select this option, you may be allowed tax breaks depending on your situation. This may help your savings grow over time while you are younger because your contributions are not taxed until you retire. Now, how a Roth IRA differs. With a Roth IRA, your contributions are taxed immediately. When you make withdrawals, later in life, they are tax-free. This is preferable if you believe your tax rate may be higher once you are in retirement. To give you a better idea of the differences between the two, here is some information side-by-side. With a Traditional IRA, you can contribute money to it until you are 70 1/2 years of age. Contributions may be tax-deductible depending on whether or not you or your spouse pay into an employer-sponsored retirement, such as a 401k. These deductions may also depend on your income level. A Roth IRA allows you to add money no matter what age you are but also has restrictions on your income level. So, if you make too much money, you will not be eligible to pay into a Roth IRA. As of 2019, you may have a modified adjusted gross income (MAGI) of $137,000 if you are filing as a single person. When you reach a MAGI of $122,000 your contribution limit will be phased out. If you and your spouse are filing jointly, you may have a MAGI that is less than $203,000. $193,000 is the amount where contribution limits are phased out. If you would like tax breaks, Roth and Traditional IRAs are excellent for this, though these tax breaks are applied at different times. Differences between the two are that Traditional IRAs offer contributions that are tax-deductible for federal and state during the year you make the contributions. When you are in retirement, withdrawals are taxed at the usual tax rates for your income bracket. Roth IRAs do not offer tax breaks immediately, but you will reap your tax breaks when you withdraw money during retirement and on earnings. As you may be making less money when you grow older, this may be preferable. Finally, regarding taxes, you will pay no taxes on the funds you place into your IRA as long as you keep the funds in the accounts. A large difference between these two accounts is the rules for withdrawals. At 70 1/2, Traditional IRAs require that you take out required minimum distributions (RMDs) even if you don’t need the money. With a Roth IRA, you don’t have to withdraw any money during your lifetime, which may allow you to build more wealth as your funds increase tax-free. With this in mind, a Roth IRA is excellent to transfer wealth. This is also great for your beneficiaries as they will not owe any income tax on the withdrawals and can distribute the funds over a long period of time. Though they can get withdrawals tax-free, they will still owe taxes on your estate. Both accounts require that you begin to distribute some of the funds when you reach 59 1/2. These are penalty-free. 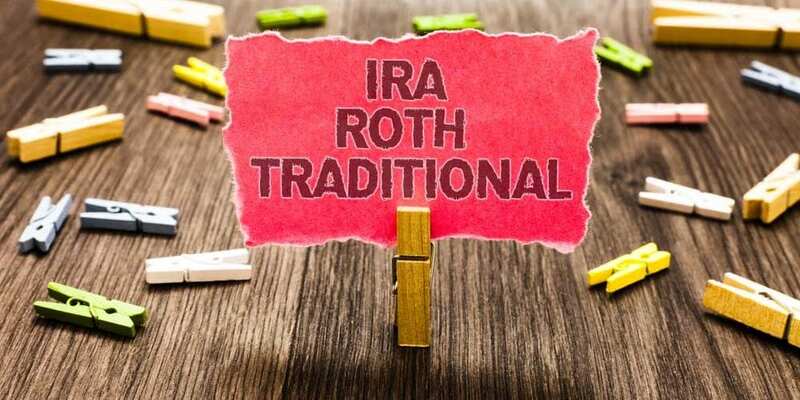 To avoid taxes, Roth IRAs mandate that your first contribution be paid five years or more before the first withdrawal. If you have met this one-time requirement, taxes will only be for your initial deposit. When you make contributions to your Traditional IRA, this will reduce the amount of taxable income you have during the year of your contribution. Benefits to a lower taxable income are that you may qualify for helpful tax incentives such as a child tax credit or get assistance lowering the interest on your student loans. Though, if you or your significant other is on a retirement plan through your employer, you may not be able to deduct your contributions from your taxable income. 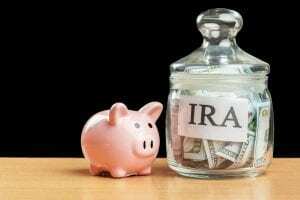 Before you reach 59 1/2 years of age, you can withdraw a maximum of $10,000 from your Traditional IRA without being victim to the 10% early-withdrawal penalty. This can be used to buy your first home or pursue higher education. These expenses must be qualified by your bank first, before you can withdraw the funds. Contributions that you make into your Roth IRA can be withdrawn without taxes and penalties before you reach 59 1/2 years of age. Similar to the Traditional IRA, you can withdraw a maximum of $10,000 earnings without penalty when buying your first home. This penalty-free withdrawal applies if your initial contribution was made five tax years before your first withdrawal. As you can see, there are many different things to consider when you are looking at a Traditional IRA or a Roth IRA. These investment options make a great addition to your portfolio and can increase your wealth over time. Whichever one you choose will help you save for retirement as you age. In summary, if you expect to be in a higher income bracket when you are older, a Traditional IRA may be the better option. If you want to maximize your earnings while you are young, a Roth IRA may be the better choice. Research widely and consider all of the possibilities. Deciding on the vehicle for your future wealth is very important.